Wine and Big Bang Theory?! Don’t Mind If I Do! Hello again my wine lovers!!! I know my posts are becoming more few and far between, but I am here for you! Ever have a question or curiosity, just email me (yourwinegirl [at] gmail dotcom), Facebook me (Facebook.com/yourwinegirl), or leave comments on my video tastings (youtube.com/yourwinegirl)!! Now who’s a fan of the comedy show, The Big Bang Theory? Well, just in case you were unaware, I am a big fan. Not like a fanatic, or overly obsessed, but I do enjoy smart comedies (hello, Frazier was totally awesome too!) Now, if you have been watching recently, you will notice that they usually all drink wine through out the episode. The fun part for me, being a wino and all, is to watch what they drink (weird I know, but it’s fun, and well, I am a nerd), and I am sure I am not the only one who will occasionally notice what the label is. 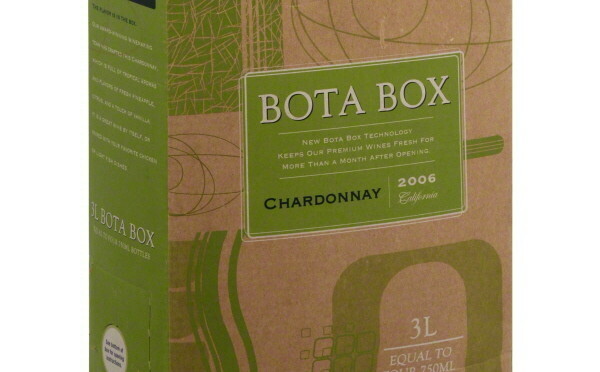 A: Bota Box is made from recycled material. Now who’s against saving mother earth? B: The wine inside the box is actually inside a huge plastic bag (another recyclable!) with a spout on the end, that you pull out of the box (There’s an outline on the side of the box where it comes through). 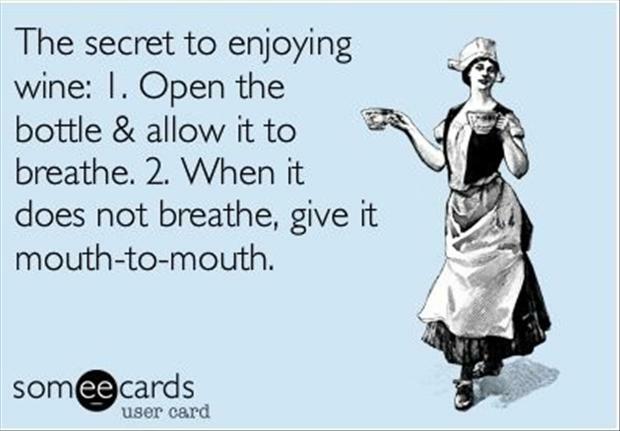 The great thing is that the vacuum like action of the spout keeps the oxygen from interacting with the wine in the bag (oxygen + open wine = spoiled wine. You’ll start to get that different, funky taste), making the wine last up to a month after you open it! Woo-hoo! C: 3 Liters worth of wine. That equals 4, yes I said 4, bottles of wine. How many glasses is that you may ask? Well, it adds up to 16 glasses. Yep, looking better by the minute right? D: Party in a box. It is very inexpensive, good eco friendly wine that you can take anywhere (hello hiking, camping, tailgating. Anywhere that prohibits glass, this baby can go!) and can sit in your fridge for a month. E: All of the above only add up when you figure in the price. Most of these boxes you will find on sale for under $20!! Perfect To Pair With: Salmon, Creamy Alfredo Pasta, Greek Salad, or your favorite cheese and fruit plate! Average Price: $19.99 – Available at Tom Thumb, Market Street, Kroger and other wine retail locations! From the soils of Lodi, California (great grape growing rocky, free draining, sandy soil area), this wine is one of my absolute favorites for under $12! Called Noble Vines for the long growing history and traditions in Lodi (long history, long roots, good wine! ), this is a nice medium bodied red with blackberry, cherry and coffee filling your nose, it goes down like silk with the slight toast and tannins, and leaves your mouth filled with deep cherry, blackberry and slight pepper. Mmmm. Oh yes, Penny has good taste and a great budget! Perfect To Pair With: Stuffed Pork Loin, Ribs, Grilled Hamburgers, Chocolate, Pepperoni Pizza, or just great by itself! Average Price: $10.99 – though you can find it on sale for $9.99! Available at Tom Thumb, Market Street, Kroger and other wine retail locations! Cheers to Big Bang and Wine! 🙂 What a lovely combination! I was so surprised to see the bottle of 337! It is my very favorite wine ever.